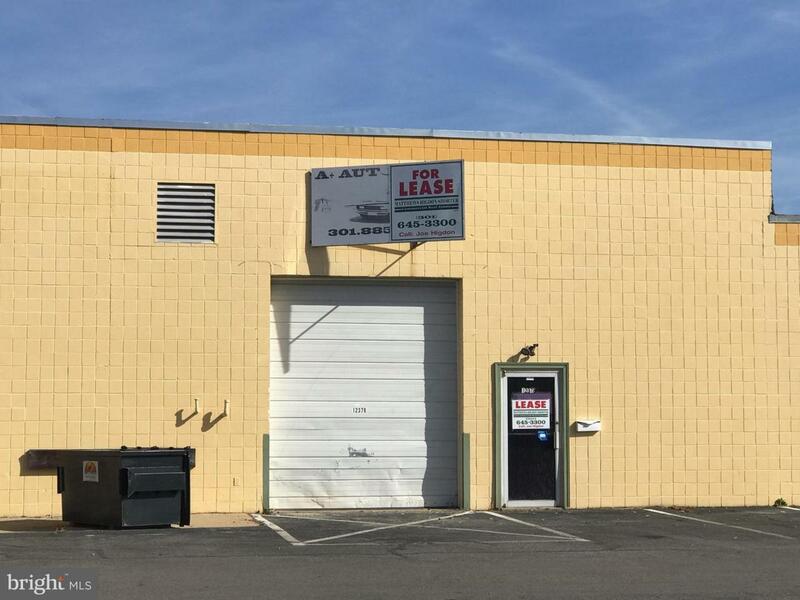 2,450 SF+/- Warehouse Unit located in Waldorf Business Square. Floor plan includes warehouse with 12 foot overhead drive-in door, office/reception area and in-suite bathroom. Automotive Uses Allowed - No Paint Booth; however Parking covenants do not permit outside storage of vehicles. Tenant responsible for Separately Metered Utilities.